Staněk’s initial efforts weren’t met with much success. “We were getting rejected a lot and realized that in order to make it happen, we’d have to open our own shop.” To this end, the 21-year-old businessman found himself on the trade-show circuit, traveling to Chicago and Frankfurt and pitching the big-name brands in an effort to secure exclusive distribution to the growing Czech market. “The buyers all told me to come back with a business plan. So that’s what we did.” in shortly thereafter, the Potten & Pannen flagship store, a carefully curated collection of top imports from categories ranging from food prep to kitchen equipment to servingware and design objects, opened on Vodičkova Street in Prague. With the opening and subsequent expansion of his shops, Staněk also introduced a new concept to Czech consumer culture. “Our basic principle from day one was to encourage our customers to feel, touch, and try. That’s why we’ve got countertop ranges installed in our stores. You can use the product before you buy it. And we’ve got food on hand so you can actually cook something. We encourage it.” The array of Potten & Pannen services has grown to include not only top-of-the line kitchenware and accessories, but a bridal registry, an English-friendly e-shop, and other amenities previously unheard of in the Czech Republic, like free gift wrap year round. For holders of Potten & Pannen’s VIP club card, regular cooking classes and workshops offer the opportunity to bone up on your knifing skills, Czech cooking repertoire, and more. 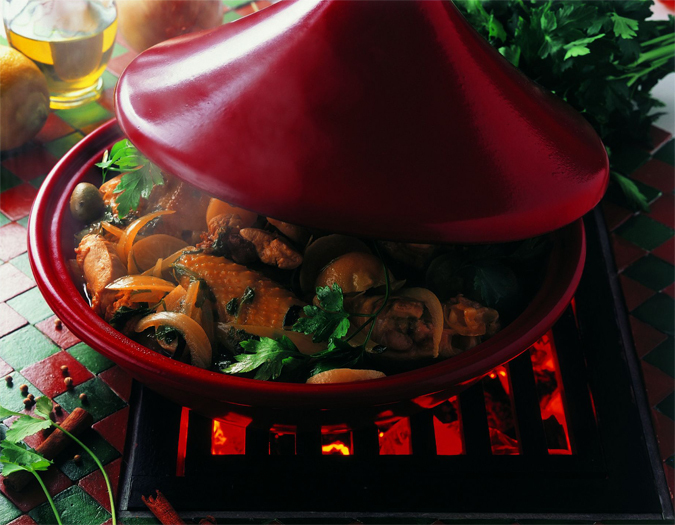 For now, Potten & Pannen’s bestsellers remain their quality frying pans and knives. When asked to recommend essential items for readers who are outfitting a new kitchen in a new apartment in a new country, Staněk says that those items are among the most important tools to cooking success: “Invest in three good knives, a good frying pan, and two or three nice pots.” At Potten & Pannen, traditional Teflon has taken a back seat to the cookware of the future—environmentally—sound pots and pans that utilize ceramic surfaces and reduce potentially harmful carcinogens and noxious fumes. 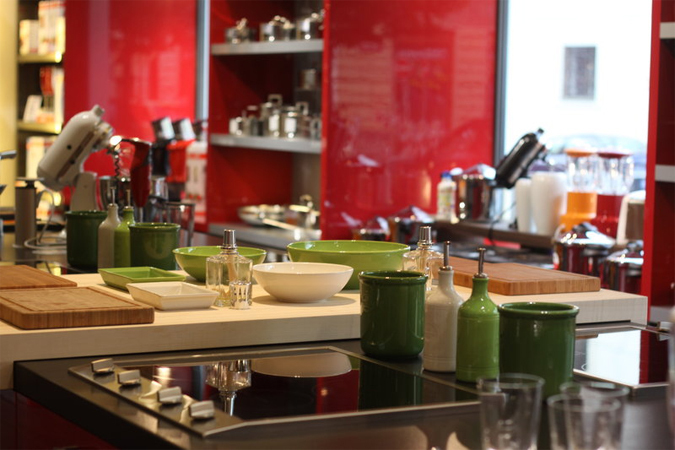 The store carries the original GreenPan, a PTFE-free line of pots and pans. While on the spendy side, a three-piece set is currently on sale at a large discount. A recent visit to the Malá Strana location gave us a chance to put Staněk’s claims of perfect service and relaxed atmosphere to the test. The staff was kind but not overbearing and the selection of gadgets and gear nearly overwhelmed. KitchenAid mixers, Emile Henry Baking forms in retro shades, and all manner of sleek Scandinavian design tchotchkes, gave us an excuse to linger. 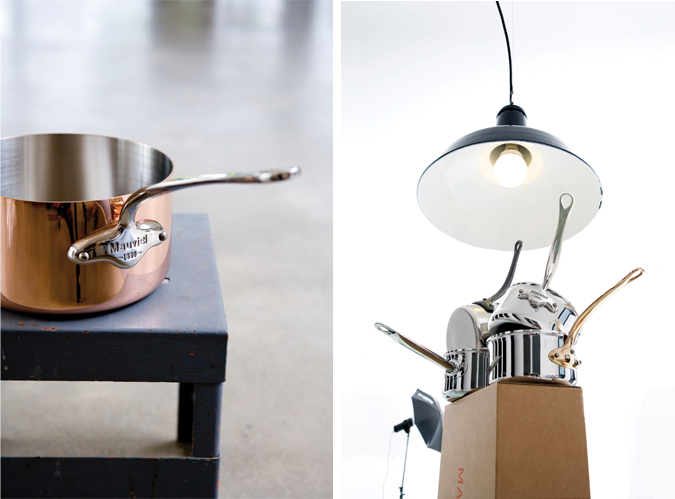 Among the more exciting pieces were the professional-quality copper pots from the French brand, Mauviel. In existence since the nineteenth century, the company furnished the kitchen of the doomed Titanic. “Some of the products here, such as the Mauviel collection, are meant to last throughout the generations,” notes Staněk. And even if you aren’t in the market for a gift for your future grandchildren, Potten & Pannen makes a great place to shop for more formal gifts—we like the convenient “starter sets” available for a number of brands—or small, quirky ones. On our visit Mr. Staněk pointed out a new microwave egg mold; we took home a functional Brita pitcher for a reasonable price. The sales items in the shop and on-line are great for snapping up everything from wine glasses to scented candles to a funky, foldable colander or an adorable stoneware mini-fondue pot that comes pre-filled with chocolate for easy serving and heating. Looking toward the future, Staněk sees his company heading in the direction of US cookware giant Williams Sonoma, yet keeping their contemporary European edge. “We’re moving toward selling pasta, spices, oils, vinegars—right now you can stop in on the way to a party and pick up a chilled bottle of wine—but we’ll always keep our design element, that progressive European feel.” Should the general public decide to start eating out more frequently Staněk has his bases covered. In 2008 he opened the popular Thai restaurant Noi, which has now expanded to include a small boutique, The Art of Taste, devoted to organic cosmetics, bath oils, Buddhas, and other accoutrements of the home oasis.